This newly published book is the bible of mid-20th century modern design. 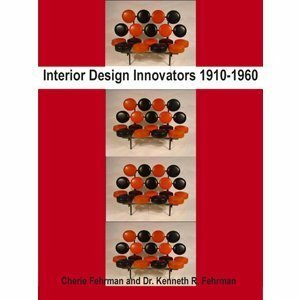 Covering the major designs of early to mid 20th century, this important work examines the period in which the United States was recognized for the first time as an international force in the furniture and design industries. This book deals with the core of the Organic Design Movement and the forces that shaped it, the designers who introduced it, and the designs of the time - including furniture, accessories, textiles, lighting and architectural settings. Brief but comprehensive biographies of the designers are included as well as 150 archival photographs and detailed measurements on iconic furniture designs of the time. Detailed measurements of furniture icons make it easy to detect reproductions in today's market.